Now offering HOT breakfast and High Speed Internet Access.....this 2003 Award Winning Circle of Excellence Hotel is just minutes away from Michigan State University, Downtown Lansing, The State Capital Building. We are just a short distance from the brand new Eastwood Towne Center featuring five great restaurants and fabulous shoppping. Right next to the 24 hour Meijer shopping super store, makes last minute shopping easy. Within walking distance to great dinning, Applebee's, Damon's Place for Ribs, All Season Bistro, Cappuccino Cafe, and Bravo's, Max & Erma's, P.F. Chang's, Mitchell's Fish Market, Panchero's, Claddagh Irish Pub. Less than a mile away from the all new Eastwood Towne Center. We feature 86 rooms, including whirlpool suites and two-room suites, elevator, complimentary shuttle service, exercise gym, indoor pool, and 12-person boardroom. 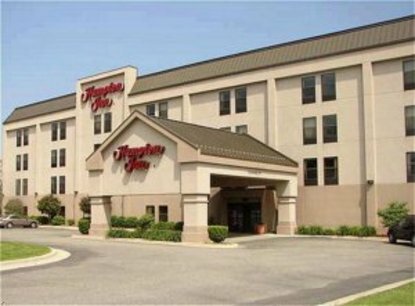 Amenities include complimentary continental breakfast, in-room coffee maker and hair dryer, newspaper, shuttle service, and 25'' TV with cable. We also offer connecting rooms, cribs, voice mail, microwaves/refrigerators, pay-per-view movies/Nintendo, express checkout, safe deposit box, and irons. Laundry/valet services, meeting/banquet facilities, audio visual equipment, secretarial service, golf, in-room movies, and rollaway beds are available for a nominal fee.